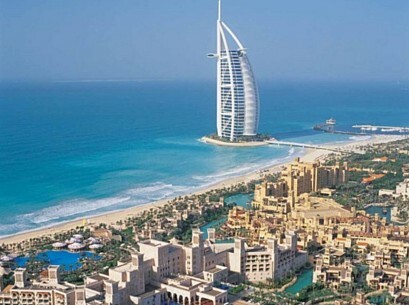 When it comes to Luxurious Hotels Dubai has got to be the No1 destination., boasting some of the Worlds best Hotels and the Worlds only 7 star Hotel "Burj Al Arab"
Dubai has undergone some of the biggest and newest building projects in the past year and boasts the Worlds tallest building Burj Dubai that will also hold the record for Worlds highest elevators. 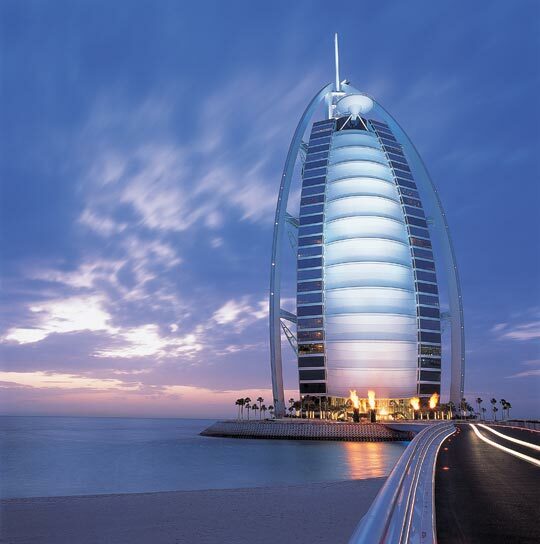 Standing 321 meters high and shaped like a billowing sail the Burj Al Arab dominates the Dubai coastline. 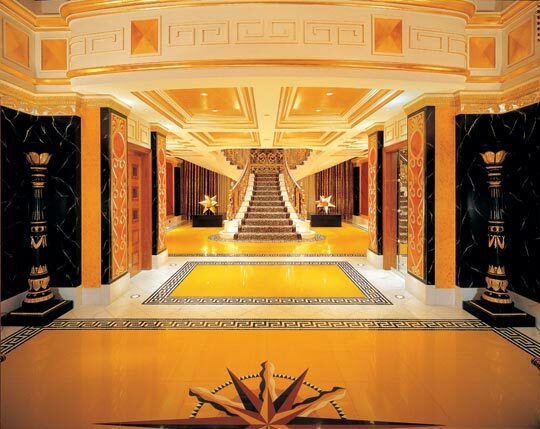 All guests are collected from the airport in one of the Hotel's fleet of chauffeur driven Rolls Royce Phantoms. Welcome to a private playground perched upon an exclusive beach front island situated in the heart of new Dubai Marina. 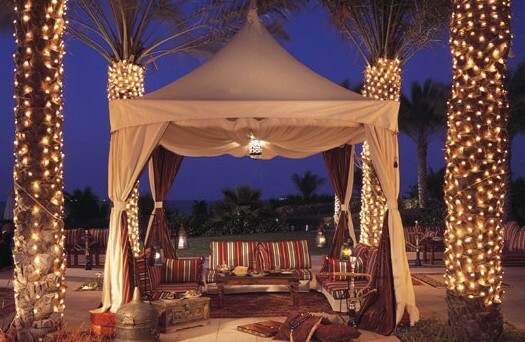 The Ritz-Carlton, Dubai hotel enjoys an exclusive address, and is a true intimate retreat.